Home / Is the Canon EOS 7D Mark II the Nikon D400 DX shooters with a Nikon D300 have been waiting for? Is the Canon EOS 7D Mark II the Nikon D400 DX shooters with a Nikon D300 have been waiting for? Bite the bullet and buy a full-frame Nikon body that has enough resolution that you can use it in Crop sensor mode and still get great pix with your existing lenses (The Nikon D810 certainly fits the bill, but is over $3K! ), or live large (literally) and migrate to the closest full-frame equivalent, the Nikon D750, and deal with the larger size & weight plus some new FX-format lenses. Upgrade your image quality with the Nikon D7100, but live with the more consumer-oriented feature set and build quality – however you get to keep using your DX-format lenses. Personally, I love both the low-light capability and the true wide-angle ability of full-frame sensors, so a couple years of having one full-frame and one DX camera, I’ve moved entirely to full frame (with a Nikon D810 and a Nikon D610). But not everyone is willing to spend that kind of money or carry all those big lenses. So as a practical matter, a better place to start might be to either buy a Nikon D7100 or buy or rent a Nikon D750 when it comes out and experiment with how you like the controls and the image quality. If neither of those make you happy, and Nikon hasn’t responded to the Canon EOS 7D Mark II announcement with at least some solid leaks about a real D400 (if they are ever going to do one, they need to respond to Canon’s announcement), then take a look at the new version of the 7D, which is supposed to ship in November. I’d of course start by renting one from a reliable supplier like our favorite Borrowlenses, and go from there. Just to set the record straight, I’m not suggesting anyone suddenly jump ship from Nikon to Canon (or vice versa). I’m a big fan of really knowing how to use the gear you have, and learning a new camera system is both expensive and time consuming. 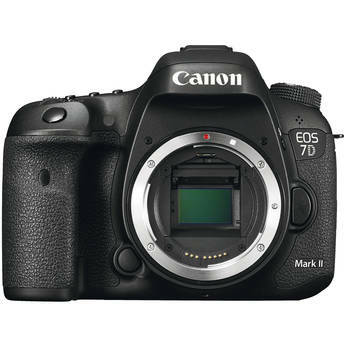 But it is clear that the Canon EOS 7D Mark II is almost exactly the camera that Nikon DX-format owners have been waiting for Nikon to produce!